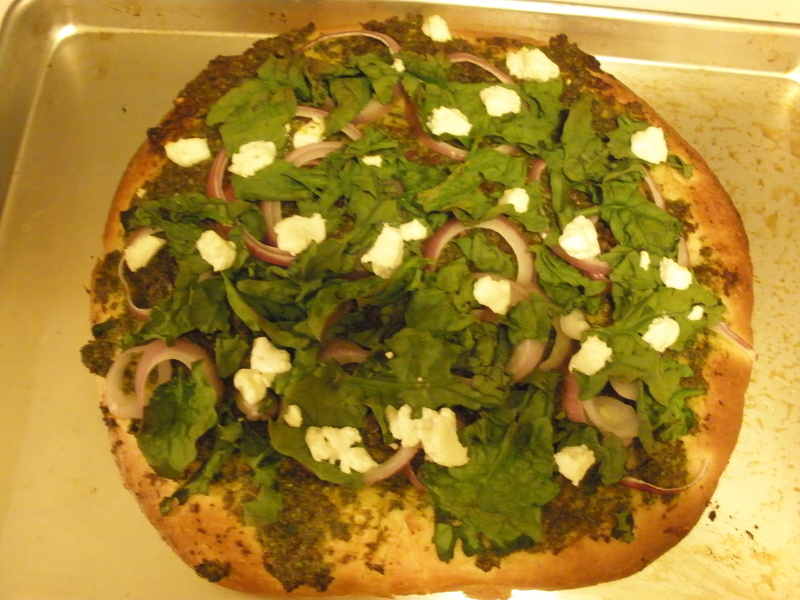 This is a dish I actually made around Thanksgiving, but I’m a little behind on posting to the blog. This is part of my effort to catch up! I was looking for interesting ways to prepare butternut squash. To be honest, I didn’t much like butternut squash, or any of the winter squashes for that matter, until recently. 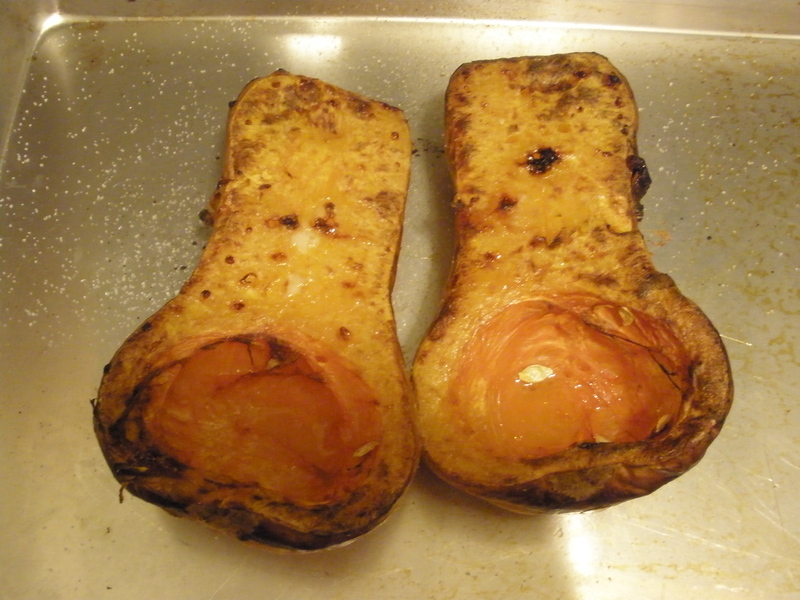 I thought…seriously, a lot of people love butternut squash…so maybe I’m just preparing it wrong? So, to make a long story short, I do in fact really enjoy butternut squash now. This is one of those dishes that has helped convert me to a squash lover. I found this on the Austin American Statesman website. Here is the link. I made some changes to it, as I usually do. The biggest difference is that I didn’t include any goat cheese in the green sauce. While the squash is in the oven, make the salsa. In a skillet, heat a few tablespoons of olive oil. 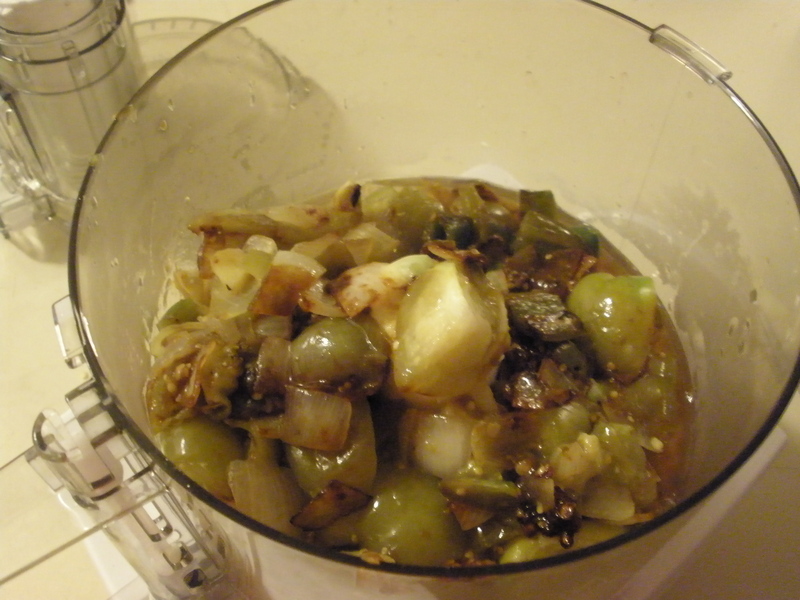 Add the chopped tomatillos, onion, garlic, and chiles. Add about a 1/2 tsp salt and some pepper. Saute until the vegetables are all tender, around 15 minutes. 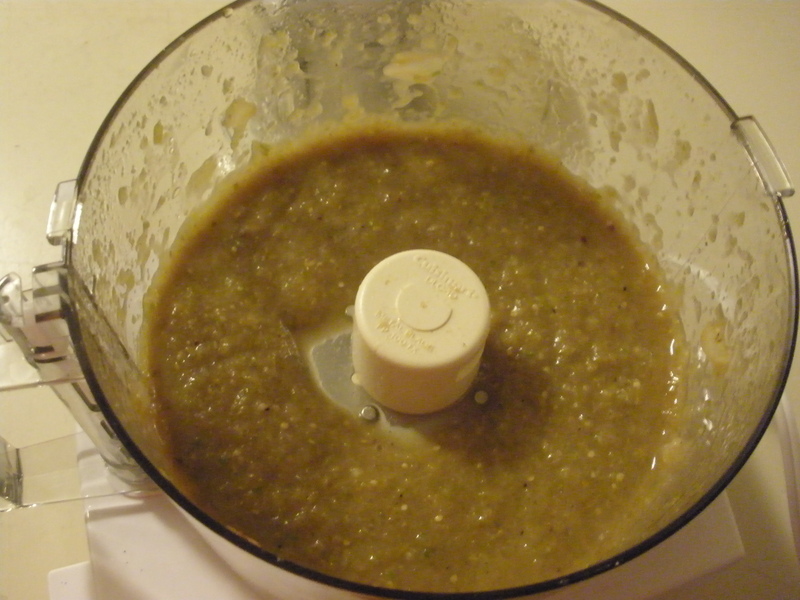 Add to a food processor or blender, and add the cilantro, and the lime juice. Scoop the cooked squash out of the skins with a large spoon. Mash it with a fork in a medium mixing bowl. Add a bit of salt, and stir. Heat a skillet over medium heat. Heat the tortillas on one side, and once slightly browned, flip. 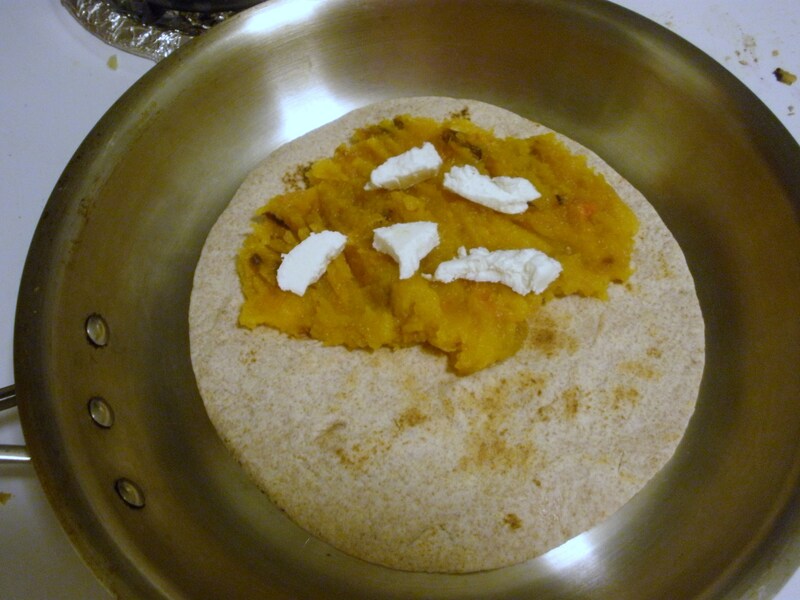 Then, fill with some squash mixture, and dot with pieces of goat cheese. 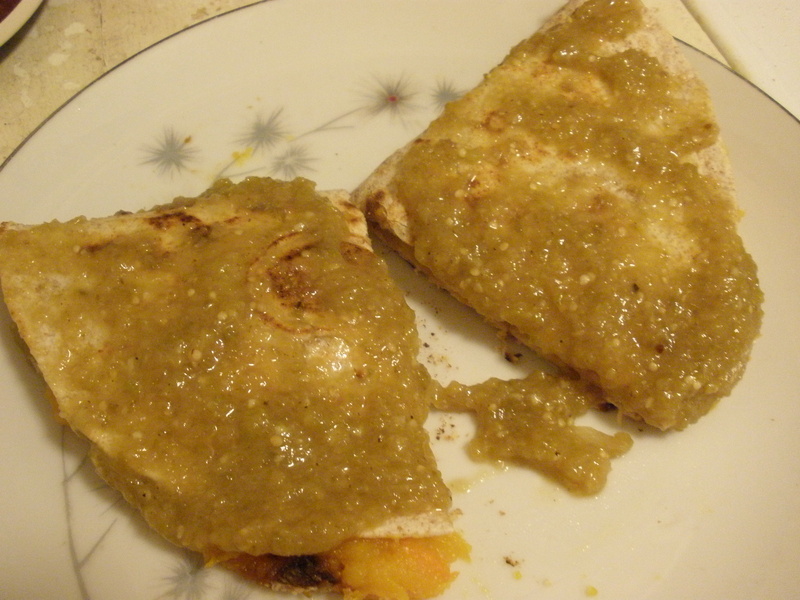 Fold to form the quesadilla. 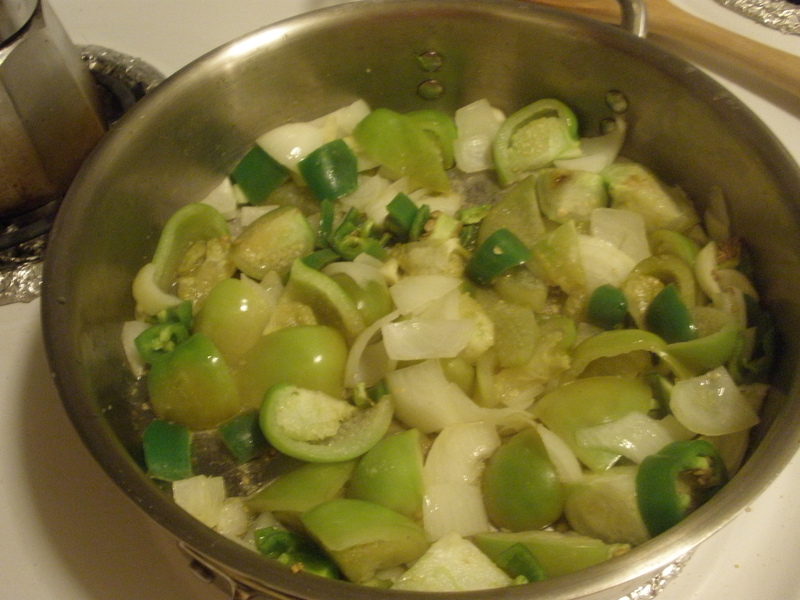 Once the filling is warmed through, remove form the skillet and top with the green sauce. Yum!